This article is for those that will like to control wifi file transfer from their mobile device, that is control both uploading and sending file to their pc. 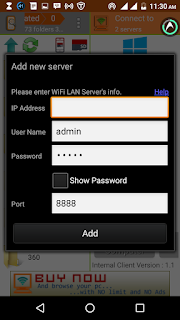 Here is a step by step guide on how to use WIFI PC FILE EXPLORER transfer larhe file from your mobile device to your pc. 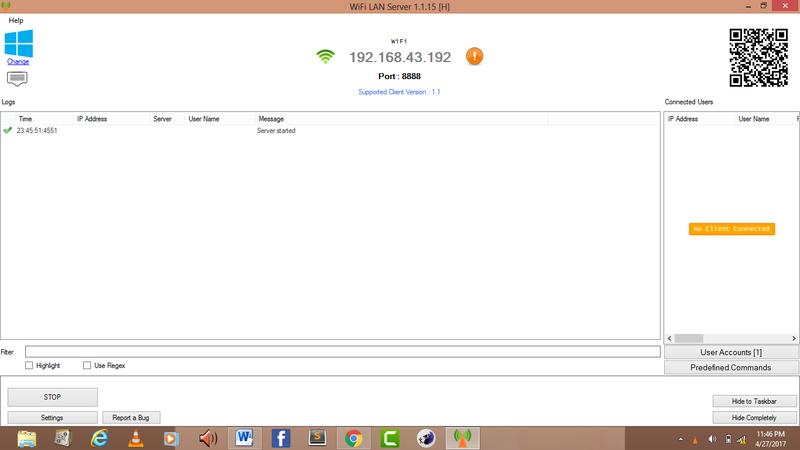 · Android device with a wifi hotspot connection. · Pc/mac with any window operating system. · You don’t need a USB cord or Bluetooth connection to transfer file. App to transfer file from your mobile phone to pc via wifi connection is WIFI PC FILE EXPLORER go to the play store to download and install the app on your mobile phone after successful installation, you will also need to install the same App on your pc the link to download the app for pc will be shown to you after successful installation on your mobile phone, copy and paste the url code on your pc to download and install on your pc or Google search for WIFI LAN SERVER.EXE to download installation set up for your pc. 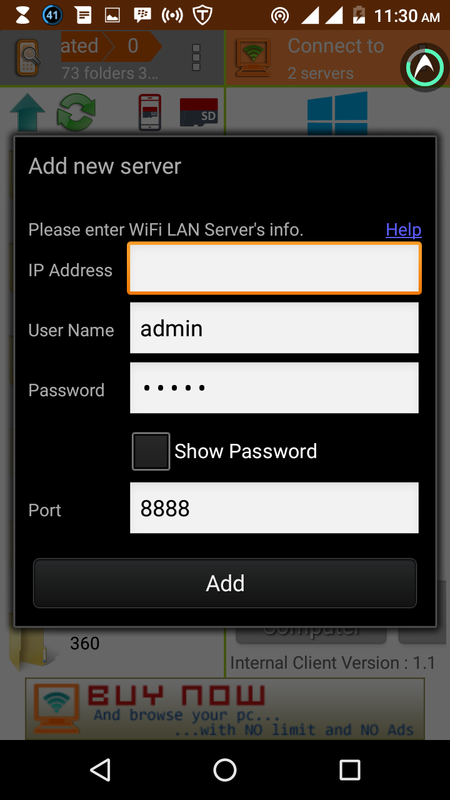 After successful installation on pc open WIFI PC FILE EXPLORER on your mobile phone and connect to your pc either manually by inputting your pc IP address or by scanning barcode on your computer after connection with your wifi hotspot connection.The picture below is a screen show you how to connect using ip address. The best way to connect is ny scanning bar code of the Wifi lan server on your computer screen by clicking add by bar code to scan bar code on your pc. 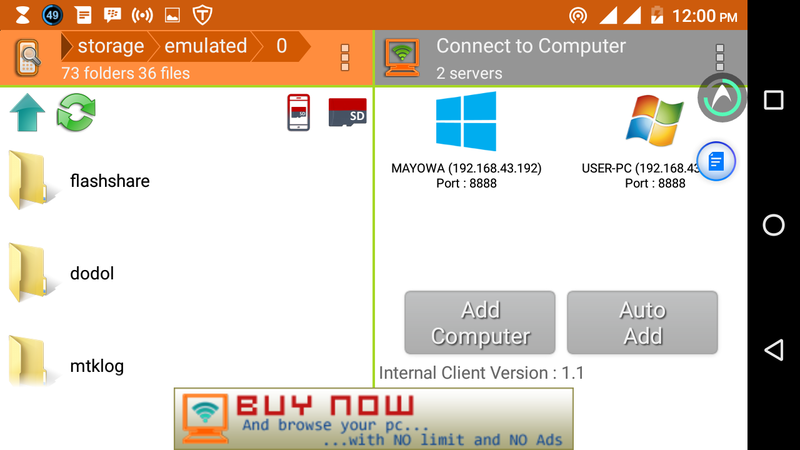 The screen shot below is to show you how the button to connect with your pc and how the app look like on the pc. 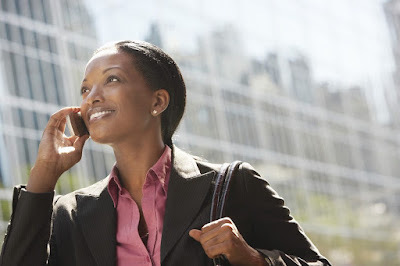 Once you have successfully connect your device and your pc together, you are now free to either upload file from your pc to your device or from your device to your pc. If you have any problem with connecting your device to your pc or vice versa comment below and it will be tackled as fast as possible.